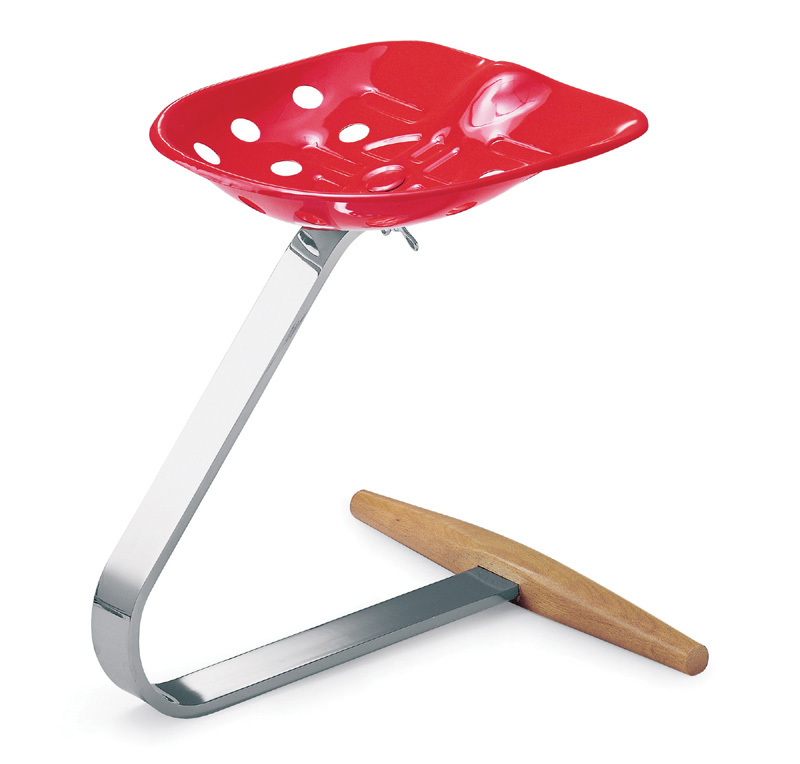 Miss chair, designed by Afra and Tobia Scarpa in 1986. The form is linked to a system of soft, unbroken, linear rhythms. The legs are slim and divaricated, to ensure stability. 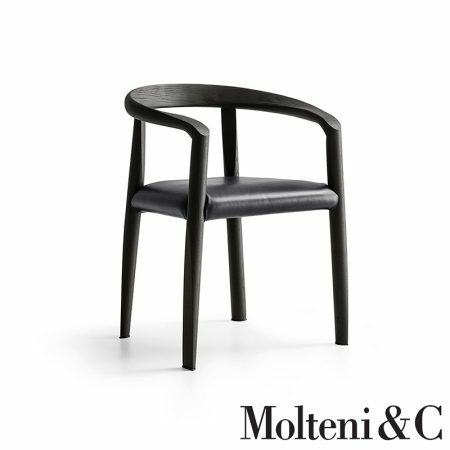 The front ones are bent to form the armrests and continue into the curve of the backrest. The back legs reach the backrest from behind, underpinning it. The seat is inserted between the lines and links them. Tobia Scarpa has re-designed the armrest joint to make the chair comfier and more linear. 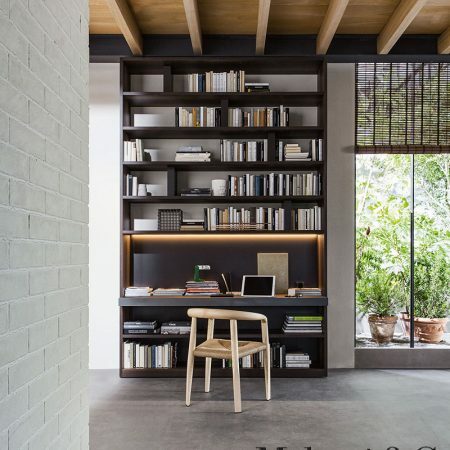 Structure in natural or black tinted ash, seat in leather or hand woven, ecru or grey, paper cord. 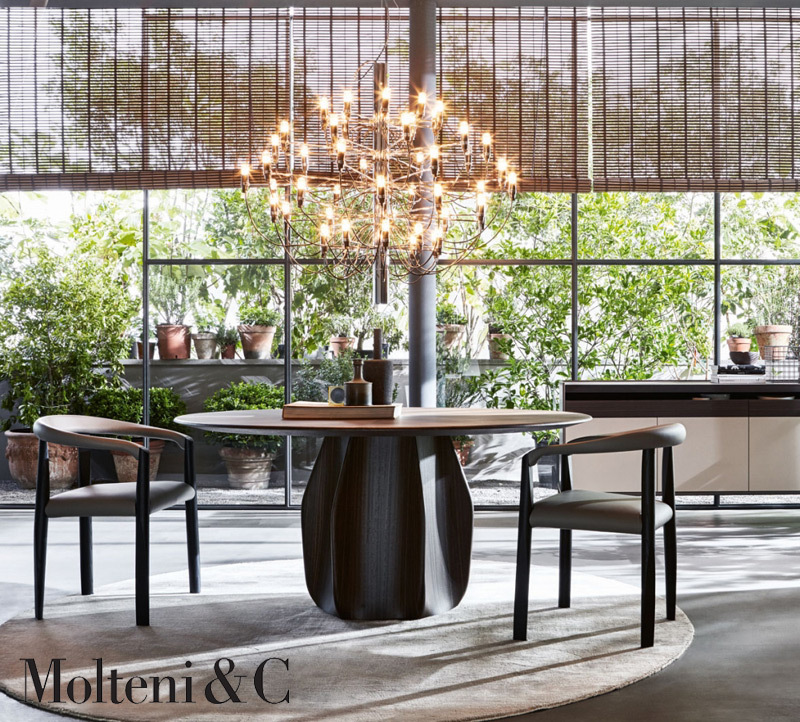 The Molteni & C Group is an Italian furniture company that has been operating in the design furniture sector since 1934, distinguishing itself over time by the continuous search for the quality of Molteni products and cabinets. Molteni furniture, sofas, armchairs, chairs and wardrobes. 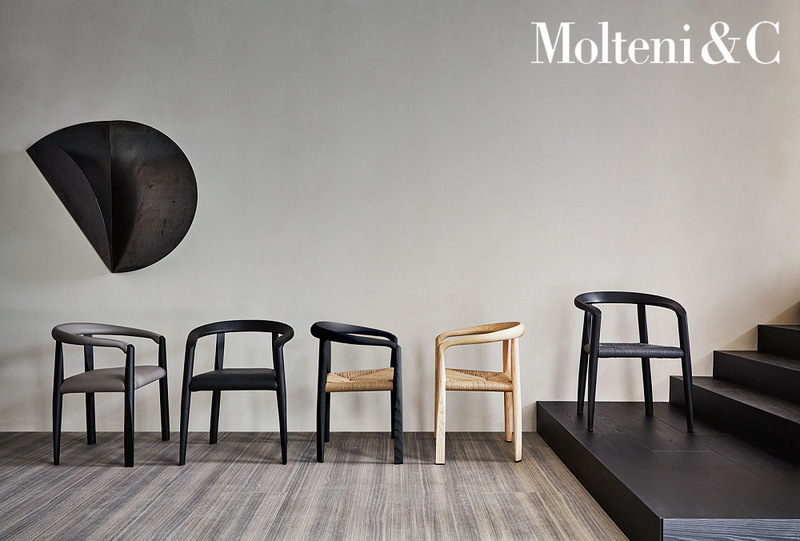 The best of Molteni brand design. 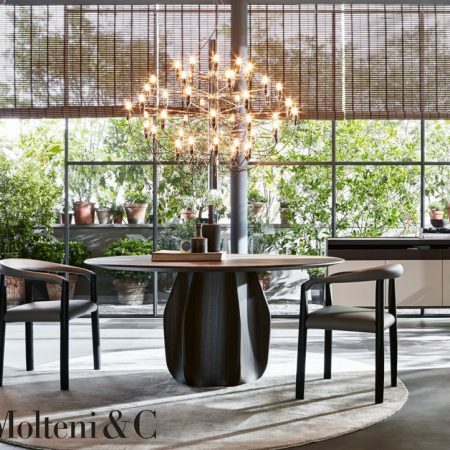 Molteni is one of the main protagonists in the furniture design sector dedicated to the production of furniture, sofas and wardrobes for the home. Molteni boasts collaborations with some of the most important designers such as Pier Luigi Cerri, Michele De Lucchi, Rodolfo Dordoni, Foster & Partners, Ferruccio Laviani, Luca Meda, Jean Nouvel, Pagani and Perversi, Bruno Reichlin, Aldo Rossi, Afra and Tobia Scarpa, Gerard Van den Berg, Hannes Wettstein, Patricia Urquiola, Paola Navone. 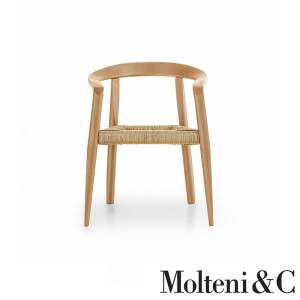 Molteni combines technology with tradition and has defined its own identity since the '70s in the sector of modular furniture design, elaborating with Luca Meda a series of furnishing solutions for the whole house, from the closets for the bedroom, furniture for the stay up to the studio / home office. 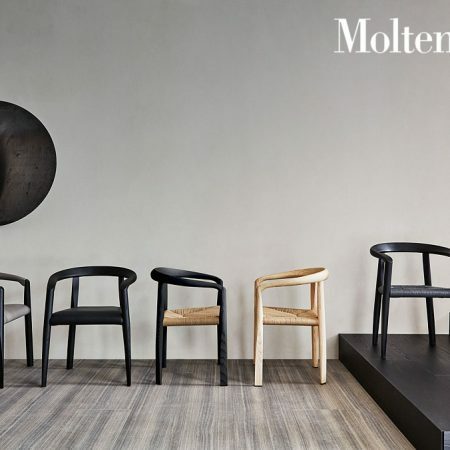 Molteni has met with great success in the world of furniture and wardrobes with its constantly evolving projects both from the technical point of view, both in terms of functionality and comfort. Contact us to get more info about this product. Need Help? 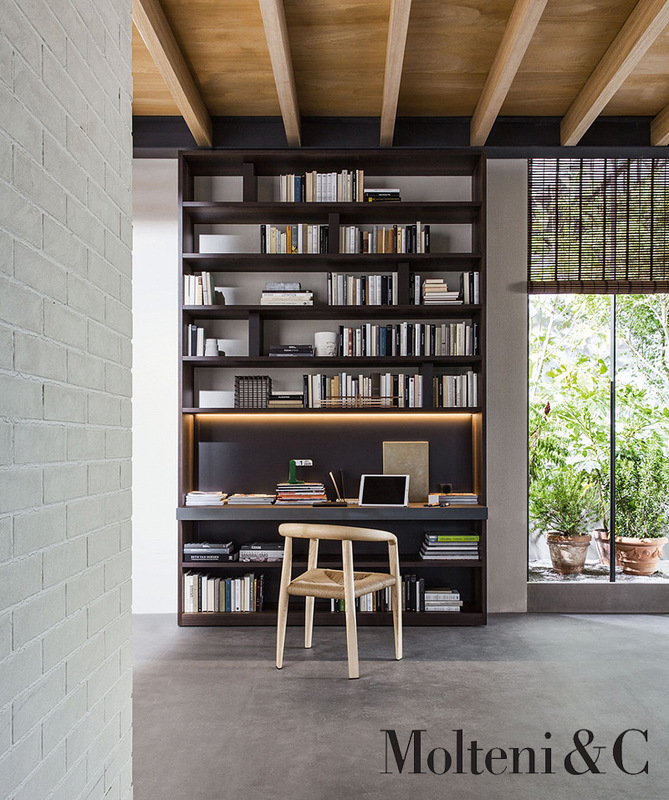 Contact Cattelan Furniture!